Time for some more TUESDAY fun with the Unity design team. If you haven’t been hopping along, all the action starts on the Unity blog. There’s always fun stuff going on. This is our FIRST ever hop-a-long with the design team. Make sure you finish the hop with the DT and then link up your own creations afterwards. We’ll give 2 prizes away, one to someone who comments on all the blogs in the hop and one to someone who links up. Woo hoo, fun! 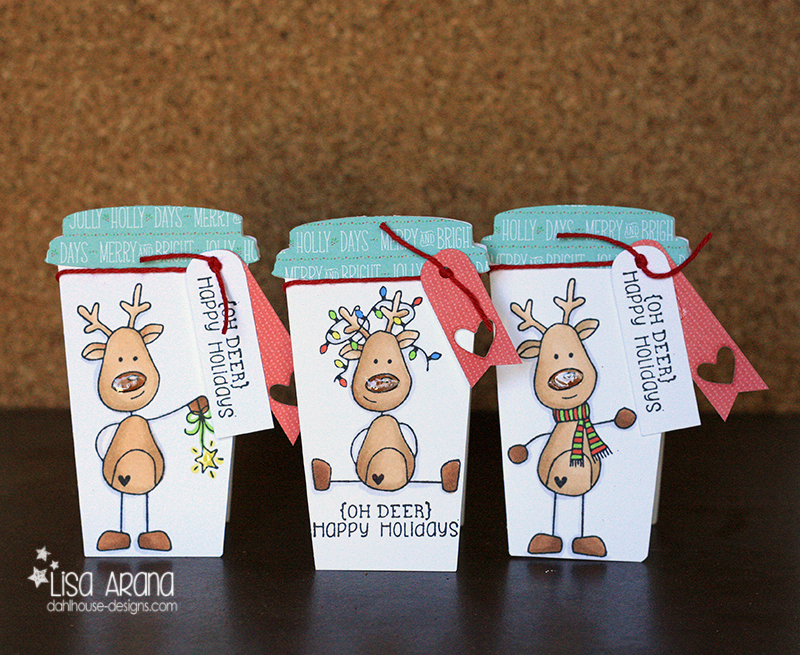 I have a little set of cards using these adorable holiday moose. Just too darn adorable. I can’t wait to make more of these. Did you know these moose have cousins? They sure do. These guys. Oh my goodness Lisa, these cards are adorable! I love these moose. Super cute! I love the moose on the coffee cups! Super cute! Oh gosh, these are all darling. So many CUTE cards and tags. Your deer and moose images are the sweetest. These are all adorable! Great ideas! The moose are adorable love your work! Oh my gosh those mooses are freaking adorable. These tags and reindeer cards are toooo CUTE! These are really cute cute cards and tags. TFS Reindeers are too cute. My name didn’t show up for the above post. Like I said the projects are cute and the stamps are superior cute. So darn cute! I love the coffee cup shaped card! very entertaining family of moose and deer! Lovely cards, Lisa!! 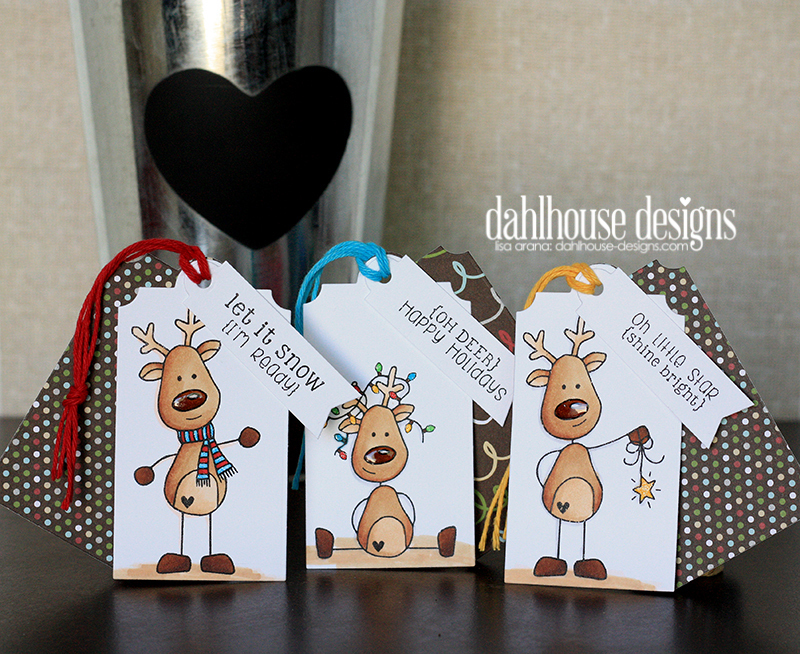 Your moose cards and reindeer tags are so adorable! I love all of these! they’re adorable! Oh yes, i have their cousin reindeer bundle too. Love how you place all together in your cards. Such fun projects with the mooses!! The little reindeer are so cute, too. Wow…what can I say,your projects are amazing,outstanding,special and unique.I love each one! How cute are all of those. Fun! 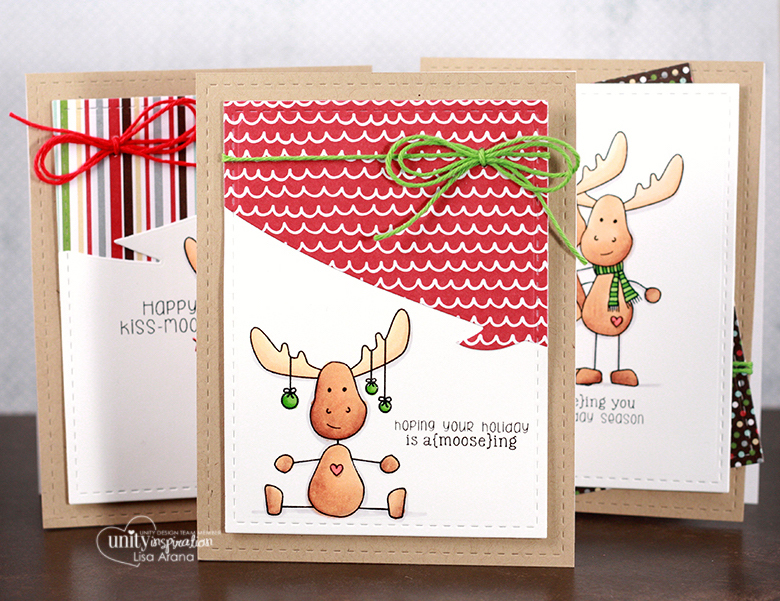 These moose and reindeer are adorable, and especially when showcased on your cards!